went on to play in the NFL. Brian was super-focused on success, and knew from a young age that sports could open up all kinds of doors for him. He gained a reputation as an exceptional scholar-athlete at Perth Amboy High School, earning 12 varsity letters. He was a prep All-American at quarterback as a senior, but it was on the hardwood where he drew the most attention from colleges. A smooth scorer and intense defender for the Panthers, Brian led the Perth Amboy varsity to a 99–5 record during his four years on the team. Brian attended Princeton University and, despite spending countless hours playing and practicing, had no problem handling the academics. Freshmen were ineligible during Brian’s time at Princeton—a frustrating fact for coach Pete Carril, who knew he was the best player in the program. Brian made up for his lost season by scoring more than 1,200 point in his sophomore and junior years. Only Bill Bradley scored more for the Tigers in a two-year span. The apex of Brian’s college career came during the 1971–72 season, when he led Princeton to victory over UNC and Villanova in the same week. The Tar Heels were ranked #2 at the time. Later in the season, the Tigers upended #5 ranked Penn, ending a 30-game winning streak in Ivy League play. Brian was a First-Team All-Ivy pick in both of his varsity seasons, and earned All-America recognition as a junior. He also was the high scorer on the US team at the Pan Am Games in 1971. With the NBA–ABA salary wars at their peak in 1972, Brian decided to declare himself eligible for the draft. He was selected by the Nets in the ABA and Supersonics of the NBA. 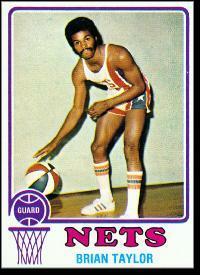 He signed with the Nets and won Rookie of the Year honors in 1972–73. Brian was part of an awesome backcourt unit that included Bill Melchionni, John Roche and John Williamson. Along with forwards Julius Erving and Larry Kenon, and center Billy Paultz, the Nets won the ABA Championship in 1973–74. Brian was also a member of the 1975–76 club, which won the last ABA title. Brian was an All-Star in 1975 and 1976, and the ABA’s most accurate three-point shooter in its final season. A lock-down defender, he led the league in steals in 1974–75. When the NBA and ABA merged in 1976, the Nets packaged Brian with two first-round draft choices in exchange for Nate Archibald. The team was forced to sell Erving to afford its entry fee and Archibald was injured almost immediately. The two draft choices ended up being Phil Ford and Otis Birdsong. It took the team almost a decade to recover from this trade. Brian made the NBA’s All-Defensive team with the Kansas City Kings in 1976–77. He also played for the Nuggets and Clippers in the NBA portion of his career. In 1979–80 he led the NBA with 90 three-pointers. One year later, he led the league in three-point percentage. Brian played his final pro season in 1981–82 and retired at age 30. He returned to Princeton to get his degree, and graduated in 1984. From there, Brian took a job with a private school in Los Angeles, serving as basketball coach and also as an administrator. In the 1990s, he joined an organization that focuses on improving graduation rates in inner-city schools. Brian is able to hold himself up as an example of what can happen when an athlete works as hard in the classroom as on the playing field or court. Sports and study together, he points out, make the ultimate character-building combination.